The present work discuses in depth the subject of toranas (arched portals or festoons) in the ancient and medieval architecture of South- and South-east Asia, with special emphasis on Indian representations. Their antiquity and rationale; their continued presence in association with stupas, caves, temples, mosques, cities, forts, and palaces; their myriad forms and transformations; and their aesthetic and symbolic relationship to the structure in question are analyzed stage-by-stage in this book. The rich corpus of toranas included here has been critically and comparatively analyzed in relation to traditional practice, as well as in the light of the medieval architectural treatises, historical records, and other literary sources. The approach is ‘micro’ in the sense of being focused on a specific architectural element but ‘macro’ in its regional and temporal span. In addition, the exposition reveals the grammar as well as the manifold visual formulations of the torana as representative of the basic principles of traditional Indian architectural ornament: integral to the structure, functionally apt, aesthetically significant, and visually evocative, with sound and sophisticated design principles. The text is richly illustrated, bringing together material scattered over several well-known as well as remote sites, museums, and archival collections. Whereas a major part of this book details the journey of the torana in ancient and medieval India, the section on early beginnings also includes references from Pakistan and Afghanistan, and the final chapter surveys, with a view to compare, parallel yet distinct expressions in Cambodia, Thailand, Champa, Indonesia, Myanmar, Nepal, and Sri Lanka. Parul Pandya Dhar is Associate Professor in the Department of History, Faculty of Social Sciences, University of Delhi. Prior to this she was teaching Indian Art History at the National Museum Institute, New Delhi. Her research interests focus on the cultural history of ancient and medieval India and Southeast Asia. She has been awarded prestigious research fellowships and grants such as the Alexander von Humboldt post-doctoral research fellowship (Germany) and the Nehru Trust Research Grant (U.K.). She has contributed several research papers and has edited a book, Cultural Interface of India with Asia: Religion, Art & Architecture (2004). Indian art-historical studies have covered considerable ground, changing course several times during the last hundred and fifty years. When Alexander Cunningham argued for a separate body for this study, the focus of his argument was on the survey of India’s antiquities, and when it was established in 1871, this term received centre space in its name, Archaeological Survey of India. However, the results of the first comprehensive survey of Indian monuments under the title History of Indian and Eastern Architecture were presented by an enterprising architectural historian, James Fergusson, in the year 1876. He wrote this as a complement to his grand series, History of Architecture in All Countries, begun earlier. Though Fergusson made a pioneering attempt at synthesizing a vast monumental material collected across the country, the traditional context of the monuments was felt missing in his History. Rajendralal Mitra and others had already engaged themselves with this issue, though not to the full liking of Fergusson, but to be fair, we must not that Fergusson himself had been bitten by Indian mythologies almost a decade before he began to study the history of architecture. His Tree and Serpent Worship, or Illustration of Mythology and Art in India (1868) had preceded his History. 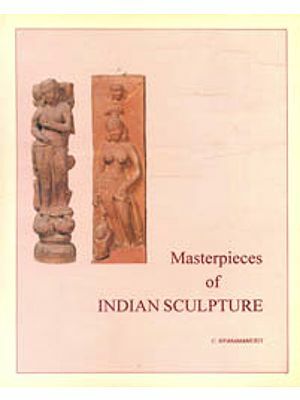 The textual studies on Indian traditional arts received momentum in the early part of the 20th century. This is made evident by the publications of Ganapati Sastri (1913-1919), T.A. Gopinatha Rao (1916), Jouveau Dubreuil (1917), E.B. Havell (1915, 1920), P.K. Acharya (1921, 1927, 1933, 1946), P.N. Bose (1926), Bhattashali (1929), Gravely and Ramachandran (1936), H. Zimmer (1946), M.V. Mallayya (1949) and others. A Dictionary (1927) as well as an Encyclopaedia (1946) of Hindu Architecture also came out during this period. More studies followed, covering not only the vastu, silpa, and citra, but also symbols, motifs, myths, and legends. While all these may have pointed out the missing links in the study of Indian architecture by the early western scholars, Forgusson’s masterly synthesis of Indian architecture could not be surpassed by his successors. This is true despite the expansive and extensive coverage of V.A. Smith on Fine Art, E.B. Havell and Ananda Coomaraswamy on Art, F.H. Gravely, O.C. Ganguly, and Percy Brown on Architecture, and S. Kramrisch on Temples. During this period the archaeological reporting, that had occupied the centre stage in art-historical studies, was continued both at the national and provincial levels alongside studies in iconography, iconology, mythology, philosophy, aesthetics, chronology, composition, ritual, technique, artisanship, and such other aspects. Some of these studies were made in isolation, while some others were made across boundaries. Some maintained a balance between the archaeological material and textual terminology; some others ignored one for the other. Excessive application of Indian textual terminology caused as much discomfort as excessive employment of western jargons and clichés. Whatever virtuosity one may find in such excesses, there is no doubt that it made the reading difficult and the meaning distant. On occasions, exposition in unintelligible vocabulary became the hallmark of scholarship and this was true of both Indian textual scholars and western-oriented Indian art-historians. While this state continues even now - especially among those engaged in modern arts or modern interpretation of traditional arts - the situation is made bearable by some at least who try to balance tradition with modernity and write to convince rather than to confound. It is in this background that I read Parul’s Torana and found it very refreshing. She writes to convince without abandoning Indian textual terminologies but without parading them. Parul has made a massive attempt to study a single but very striking architectural member of Indian monumental art. It is massive because she covers nearly the entire history of the torana-motif, beginning from the earliest Buddhist and Jain instances (Bharhut, Sanchi, Mathura) and ending with those of Indo-Islamic times (notably of the Sultanate and Mughal periods). The spread is also vast. It includes examples from the major part of South Asia (Afghanistan, Pakistan, Nepal, and Sri Lanka) and Southeast Asia (Myanmar, Cambodia, Thailand, Indonesia, and Champa or Vietnam). We find among the examples, religious (cave and structural) establishments, civil, civic, ceremonial, and defence architecture, free-standing ones, and many more of this kind. In the temple complex, this architectural member is situated at the entrance to the temple as well as the sanctum-cella, in the halls, as decorative adjunct to the vestibule, as arched frame of niches, as the prabha or aureole of the deities in the sanctum and on the outer wall, and as decorative frame on the parapet and tower. Outside of the temple-complex, examples associated with forts, streets, mountain paths, and tank bunds are also covered. The memorial (kirti-torana) and ceremonial (tulabhara, hindola) pavilions are also not left out. Parul frames her arguments effectively, making use of more than two dozen ancient and medieval texts. But the weight of the scholarship is so carefully concealed that the labour gone into it is hardly felt. The reading is made easy though the subject matter is complex. This is achieved by employing textual terminology only where it is inevitable, but always ascertaining its meaning first. The clarity is enhanced by an amazing variety of illustrations- photographic and hand-drawn - chosen with considerable care and placed in appropriate contexts. This makes consultation easy and the context and the content clear. P.K. Acharya was perhaps among the first to draw attention to the term Torana in his Dictionary, though Cunningham, Alexander Rea, Fergusson, and Smith had noticed its architectural contexts. He instanced descriptions occurring in three major texts on architecture, two epics, two puranas, and the Arthasastra, besides a dozen and a half inscriptions. Parul has added more texts and inscriptions. For the first time, we learn about two dozen types of toranas found in South Asian and Southeast Asian monuments. Some attempts have been already made to study the temple towers, ceilings, traceries, and gateways (gopuras), but the depth of inquiry is far more formidable here than in any I have read so far. Parul briefly discusses the etymon of torana (tur-tvarane), but quickly passes on to concentrate on its variety, form, and context. This creates scope to explore the other dimensions of this architectural member. The provincial styles presented here provide firm clues to the existence of several regional language texts and traditions, especially in Gujarat, Rajasthan, and Karnataka. To sample how a study of these could be rewarding, I may instance one or two of what I am aware of in Karnataka. Though this term occurs first in the Pali-Prakrit records, its entry in Sanskrit and then in the regional languages was not delayed far too long. I have not been able to locate this term either in the Vedic texts or the Sangam compendium, but its occurrence in the epics, puranas, and sastras (especially Arthasastra) and the Cilappatikaram (5,104) and Manimekalai (1, 45), cannot be disputed. Parul has drawn attention to several references occurring in the Ramayana and Mahabharata, but the Toranasphatika built by Dhritarashtra for the dice play, mentioned in the Sabha Parva, seems to have eluded her. This was obviously a pavilion of palatial scale built of crystals or a creeper, as the term sphatika carries both these meanings. I have not been able to trace the term torana in the Kannada inscriptions of the first millennium CE., but its occurrence, though somewhat sparingly, in Kannada literary works and Sanskrit inscriptions of this period cannot be doubted. However, from about the beginning of the second millennium, its occurrence becomes as common in Kannada texts and Karnataka inscriptions as in monumental representation. I may present a couple of unusual instances which may or may not be found elsewhere. Some records in Karnataka assign auspicious (mangala) and honorific (vaibhava) significance to toranas and also make them moving objects on the model of the moving idols (utsava vigrahas) of divinities. A Vijayanagara copper plate (1450) associated with the Raghottama Matha describes how its pontiff was honoured with auspicious symbols that could accompany him wherever he traveled in the four directions of the empire. These symbols comprised the throne, crown, palanquin, white-parasol, double-whisk, fan, day-torch, cymbals, yellow and red flags, auspicious musical instruments including cymbals and conch, and the torana. Interestingly, the record which makes this declaration is called vaibhava (pump, glory)-tamra-sasana (copper plate record). Just as the receipt of the makara-torana was a matter of great pride and privilege, the loss of it was a matter of great insult and humiliation. That capturing the makara-torana of the vanquished adversary (like capturing the enemy’s tutelary deity) was an act of great bravery is proven by an 11th century Tamil record found in Karnataka. It describes how, after defeating the Chalukyan king in a celebrated battle, the Chola king captured not only his wives, family treasure, conches, umbrella, trumpets, white-whisks, the royal banner, the camel force but also his makara-torana. While this makara-torana was one of the regal paraphernalia of the king, there was also an immovable one called vicchadira- (vidyadhara-) torana at the war gate of the enemy’s extensive capital-city, which he had already captured along with the splendid wicket door set with large jewels. Another point of interest is the deification of torana. This seems to have a hoary history, for one of the thousand names of Siva is stated to be Torana and Tarambika’s alternative name is mentioned as Toranesvari in the puranas. The worship of toranas, especially those attached to tanks, was not uncommon. Like the goddess Laksmi, this deity seems to have been associated with water and lotuses. A medieval Kannada Jain purana describes a lofty stone Torana located amidst lotuses. This kind of deification seems to have continued through the ages, making the images of Siva, Visnu, Ganesa, Laksmi, Saraswati or Sakti, Indra, and such other gods located in the centre of the architrave. These are pointed out only to show what kind of provocation could be provided by this study and what more could be added to it by exploring the regional sources, both textual and monumental. Parul’s observation on the ritualistic significance accorded to the torana in the worship of goddess Pattini in Sri Lanka is to be understood in this background. Parul has tread in the path of Professor M.A. Dhaky, who besides his encyclopaedic pursuits, has also pioneered such in-depth studies as an author of a couple of monographs on temple ceilings and traceries. Professor Dhaky should be pleased to accept the dedication of this book, not only because it is a continuation of his work but also because it is satisfying in scholarship. I am sure other art-historians will not be far behind in welcoming this very gratifying study. As the architectural expressions of ancient and medieval India grew in dimensions and complexity, detailed attention was lavished on specific members such as pillars, traceries, ceilings, doorframes, and archways. Consequently, each of these gained a rich repertoire replete with intricate relationships between form and function, symbol and significance, structure and ornament. A study of the rationale, grammar, and visual formulations of the units of traditional Indian architecture expectedly provides significant ground for art historical research, one that has so far received limited attention. The present work focuses on a specific architectural entity, the torana (arched portal or festoon), and examines the ways in which intent, function, artistic criteria, and cultural contexts determined its manifestations in different architectural settings during the ancient and medieval periods. Though difficult to translate into English, the torana may best be described as an arched portal or festoon associated with traditional Indian architecture. The etymon of the word torana (tur-tvarane) implies ‘to forge forwards’ or ‘to rush forth’, plausibly relating to a portal or passage which enabled efficient entry and exit. An associated root word, tr, means ‘to pass or cross over,’ or ‘to attain an end or aim. The latter, though grammatically not the correct root word for torana, non-the-less suggests its role as an architectural symbol of a rite of passage or liminality. The gloss of torana in the Amarakosa (c. sixth century) mentions its function in early Indian architecture as an outer gateway (bahirdvaram), as compared to the gopura, which is defined there as a city gateway (puradvaram). The Halayudhakosa (Abhidhanaratnamala), a medieval lexicon (c. 11th century), identifies the festooned garland (vandanamala) itself as the torana. The commentator of the Abhidhanaratnamala refers to its context, configuration, and constituent units: it is bow-shaped, ornamented with a variety of jewels and clothes, placed in the upper regions between two pillars, and situated in front of an outer entrance. The torana made up of such festoons is seen in several parts of the country to this day. The dual implication of the term as a free-standing archway and an arched festoon encountered in the lexicons can also be observed in practice. The first interpretation alludes to the free-standing torana comprising the base, pillars, lintel, and pediment, with or without the arched festoon (vandanamala or toranamala) between the pillars, whereas the second refers to the festoon itself as the torana. As per the Abhidhanacintamani of Hemacandra, a torana is the free-standing structure at the outer entrance and includes an auspicious garland (vandanamalika) in its upper portion. The twin connotations are merged in one architectural unit in this text, as seen also in practice in the free-standing examples and the miniature versions carved in relief on temples. Early texts such as Kautilya’s Arthasastra (c. third century BCE to first century), the Brhat Samhita (c. 8560 CE) and the Visnudharmottara Purana (c. seventh century), as also Nirgrantha texts such as the Rajaprasniya Sutra and the Jivajivabhigama Sutra (c. second to third century), Buddhist jatakas, and the epics [the Ramayana (c. first century) and the Mahabharata (c. second century BCE to fifth century)] provide information on toranas, though from these texts it is not easy to visualize their precise configuration (see Chapter 1). Detailed and technical articulations of the typology, placement, form, proportion, and thematic content of the toranas is met in the vastusastras (architectural treatises), the agamas, and the samhitas (texts of a ritualistic and technical nature) of medieval times. A degree of fluidity appears to have prevailed in the application of terms such as torana, gopura, and pratoli during the early period. Kautilya’s Arthasastra mentions the torana and the pratoli while discussing the construction of forts. Both occur as architectural members placed at the main entrances punctuating a fortification. The pratoli, located between two gate towers or pylons (dvara-attalakas), served a defensive purpose, while the torana (about which no detail other than its measurement [two cubits] is mentioned) as a part of the gatehouse appears to have had no more than a symbolic and ornamental role. An early example of a torana as part of the gatehouse (pratoli with gate towers) may be seen in a relief sculpture from Amarvati (Fig. 1.24). Yet, the differentiation in the usage and meanings of the two terms is not always clear. Destroying the torana of a fortified city in order to break into the enemy’s territory finds mention in the Samgamavacara Jataka. Here, the term torana appears to have been used loosely for indicating the gopura or the pratoli, which are not mentioned (see App. 2, The Jataka…). In the Amarakosa, Abhidhanaratnamala, and later Sanskrit dictionaries, the meaning of pratoli is associated with the synonyms rathya and visikha, which indicate the main street or the carriage road of a city. Perhaps implicit is the association of the city gateway (pratoli) leading directly to the main street (rathya, visikha) or a city. An even greater merging of boundaries is noticed in case of the terms pratoli and gopura, which seem to have acquired clearer formalistic differentiation only during the medieval times, as for example, the medieval Dravidian temple gopuras. Etymologically, gopura (gup: to guard, defend, or protect) shares the defence function of the pratoli. The medieval pratolis such as those at Jhinjhuvada (Fig. 4.91; c. 1100-1140 CE) and Dabhoi (Figs. 4.92-4.94;c. 122-1253 CE) are embellished with toranas in their upper regions. Such toranas are designated as pratoli-toranas and are distinct from other free-standing examples. Yet, the confusion between pratolis and free-standing toranas resurfaces in the interpretations of medieval texts (such as the Silpa Smrti Vastuvidyayam, the Prasadamanjari of Sutradhara Nath, the Ksirarnava, and the Diparnava) by traditional practitioners of architecture who describe the five types of free-standing toranas as pratolis and pratolya-toranas. In this study, the term pratoli is employed for the main gateways of medieval forts and the term pratoli-torana is used to indicate the toranas gracing the upper regions of the gateways after such references in medieval texts such as the Samaranganasutradhara (SS) and the Aparajitaprccha (Appr.) (App. 3, nos. 7a and 7b). The toranas, free-standing or in relief, did not serve a structural or utilitarian purpose in the same manner in which the base, walls, pillars, ceilings, or traceries served in a building. Yet their continued presence attests to the importance given to them in traditional Indian architecture due to their auspicious, symbolic, didactic, narrative, and ornamental implications. They are encountered in association with stupas, cave temples, structural temples, secular buildings, and also some Indo-Islamic structures. The varied creedal and architectural settings and the different regional and temporal frameworks, alongside the growing complexity of India’s material culture, seem to have led to several adaptations of the torana in relation to the structure in question, its basic formulations, and its thematic content. Within each of these categories too, the torana underwent several incarnations. Some of the complex processes of form and transformation of the torana found codification in the medieval treatises. Along with the details of terminology, the treatises provide valuable information pertaining to their basic concepts and visual formulations. The reciprocal dialogue between theory and practice an the space for creativity within the textual constructs is highlighted when relating the texts to the actual creations. The technical terminology employed in this work adheres to that mentioned in the architectural treatises, of southern as well as northern Indian affiliations. Despite criticism against employing technical terms occurring the treatises in some recent writings, I believe that they play an important role in arriving at a culturally viable framework for an art historical analysis of the Indian temple. There are several terms in Sanskrit that find suitable parallels in the English language; such instances are substituted by English equivalents for purposes of readability and lucidity. Yet this is not always possible. The necessity of using the vocabulary given in the treatises is evident when referring to those aspects which are specific to a culture and which may not be represented authentically by substitute terms belonging to another tradition. In the present case, for instance, the torana is not an arch in the sense that the arch is understood in European art history. Nor is it equivalent to a festoon, a garland, a lintel, or a niche-frame by virtue of its varied and changing locations within an architectural setting. The danger of arriving at misleading nomenclatures by studiously avoiding culture-specific terminology is perhaps greater than the effort required to understand the logic of the concepts and the constructs that went hand-in-hand with the architectural exercise. The pertinent focus in Indian art historiography of doing away with colonial mindsets and approaches on the one hand and also abandoning indigenous texts on the other hand, does appear paradoxical. No doubt, the technical treatises do not provide all the answers and are also unintelligible in parts. Yet, when understood in relation to actual practice and in conjunction with other historical sources, they constitute a significant corpus of traditional knowledge. 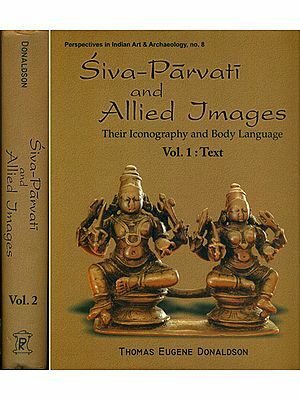 The texts referred to in this study include the Brhat Samhita, Visnudharmottara Purana, Samaranganasutradhara, Aparajitaprccha, Mayamata, Kamikagama, Isanasivagurudevapaddhati, Jinasamhita of Bhattaraka Ekasamdhi, Kasyapasilpa, and Manasara, among others. One of the main concerns of this study is to understand the shifts in the configuration and context of the torana during the ancient and medieval times. The manner in which the torana integrates itself in a stupa complex, for example, varies from that of its manifestation in cave architecture, which, in turn, differs from the way it appears in a structural temple. Its articulation on the Dravidian temples of the Pallava period is distinct from its presence on the medieval temples of Karnataka, which, in turn, reveal a repertoire different from that seen on medieval temples in Gujarat and Rajasthan. Within these broad parameters are the subtler alterations in the intent and rendition of toranas. An attempt to understand the broader shifts as also the subtler developments in the art-historical journey of the torana requires a comprehensive approach. Wherever possible, historical records in the form of inscriptions and literary sources of a non-technical nature have also been studied in addition to actual examples and the technical information given in the treatises. The endeavour here has been to consider ‘the text,’ ‘the image,’ and ‘the context’ as partners. In arriving at a comprehensive visual database of sites and monuments relevant to a study of toranas, earlier researches, surveys, reports, documentations, and archival efforts made by organizations such as the Archaeological Survey of India (ASI), the American Institute of Indian Studies (AIIS), Gurgaon, and the Institut Francais de Pondichery, proved indispensable. It is only recently that such comprehensive and comparative works have been made possible, largely due to the documentation and archival efforts made by these organizations. The inclusion of some Southeast and South Asian parallels in the final chapter is intended for understanding the comparative development of this feature in varied yet allied cultural contexts, often leading to visual formulations not encountered in India. An important concern relates to chronology. No attempt is made here to suggest a date on the basis of the stylistic character of the torana along. A motif or an element with a long life does not always follow a linear path of development. Detailed research on the morphology of Indian architecture is already available to a large extent and the dating here follows the established norms. In Southeast Asian temples geared towards a holistic chronological assessment would perhaps yield more reliable results. For the present purpose, I have of necessity taken the available chronology of Southeast Asian structures as given to us. The toranas are often embellished with representations of divinities, narratives, and with varied motifs and symbols such as kirttimukhas (gorgon faces), makras (fantastic crocodile-dolphin creatures), vyalas (leonine creatures), ganas (goblin-dwarfs), vidyadharas (angelic semi-divinities), kinnaras (bird-men), nagas (serpents), hamas (geese), ratnas (jewels), puspas (flowers), and patras (leafy motifs). Each of these is also found on several other parts of the temple and relates to the conceptual and symbolic basis of the structure with which the torana is associated. At some places, I have suggested their symbolic relationship to the torana. However, my emphasis throughout is on the visual processes of form an transformation of the torana within the framework of its shifting contexts. The dividing line between the artisan and the artist, fine and decorative art, and, art and craft, is a product of the modern mind and circumstance. In Europe, the Renaissance marked a shift in attitudes towards the visual arts which were till then not considered as exalted as the liberal arts. This shift was reflected in the beginnings of a divine between fine art and decorative art that ultimately separated the artist from the artisan. Traditional ornament, which had been an integral part of art and architecture, ran out of favour in the midst of newer intellectual and ideological principles of design and rational aesthetics that advocated “a consciously celebrated poverty of ornament. The resultant design ideologies that spoke of the honesty of structure, function, and material also showed an aversion to traditional ornament, considered to be in “bad taste.” Yet, post-modern ideologies began to evince a renewed interest in the past histories of ornament. Though the history of medieval European architectural ornament has received fair attention from scholars, this subject is yet to receive its due share of attention in the Indian context. One offshoot of the present study, it is hoped, shall be to evoke a greater interest in the validity of traditional Indian architectural forms and ornament as integral to the structure, aesthetically significant, and visually evocative, that can offer certain visual criteria and aesthetic principles as a frame of reference to the contemporary world.